Ir. 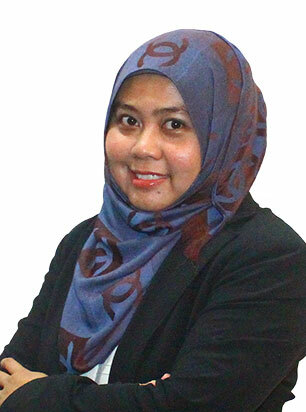 Hjh Faradiah Bt Hj Moctar is a professional electrical engineer, graduated from Universiti Tenaga Nasional (UNITEN), with Bachelor of Engineering (Hons) in Electrical & Electronics in 2002. She began her career in Johor Bahru and gained extensive experience focusing on the M&E consultancy in building and construction industry. She involves in the entire process from front-end design, awarding of projects to the construction and completion. Her responsibilities comprised of coordination of all phases of projects, which includes designing, reviewing, managing, troubleshooting problems, scheduling, cost control and also coordinating all participating contractors. Over the years, Ir. Hjh Faradiah has been involved in wide range of projects including residential, high rise, commercial, industrial, infrastructure, and educational buildings. With her vast experience in designing Electrical Services for HT & LT System, Telephone Services, MATV Services, Closed Circuit Television System and Public Address Services, she was conferred Professional Engineer by Board of Engineers Malaysia at the age of 29.